We estimate the painting part was depicted before the Second World War. There are a few stains and amotions on the painting part. 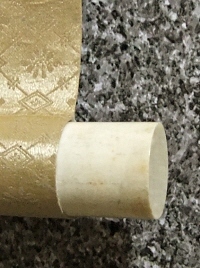 Some slight folds are also recognized. 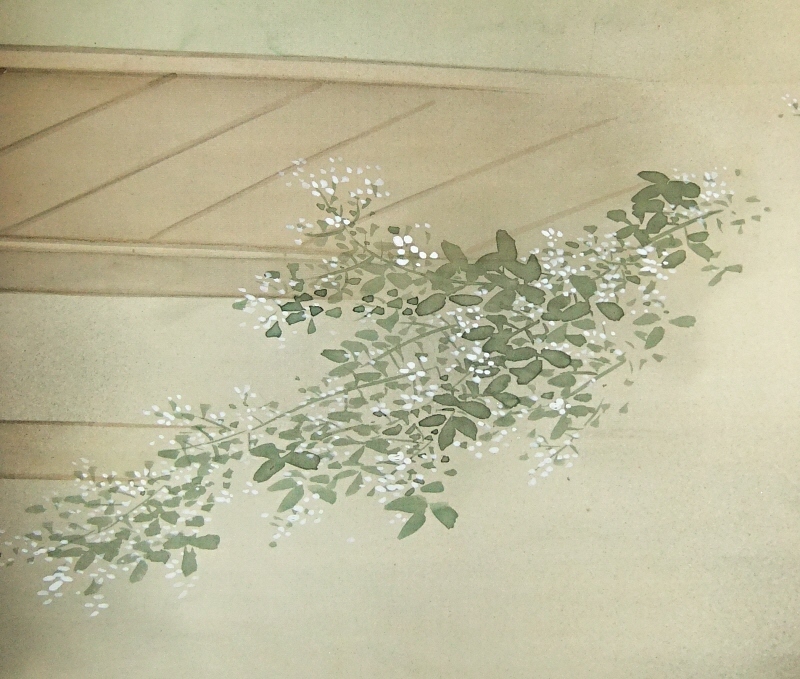 The motif is Kakinomoto no Hitomaro (660? - 720? 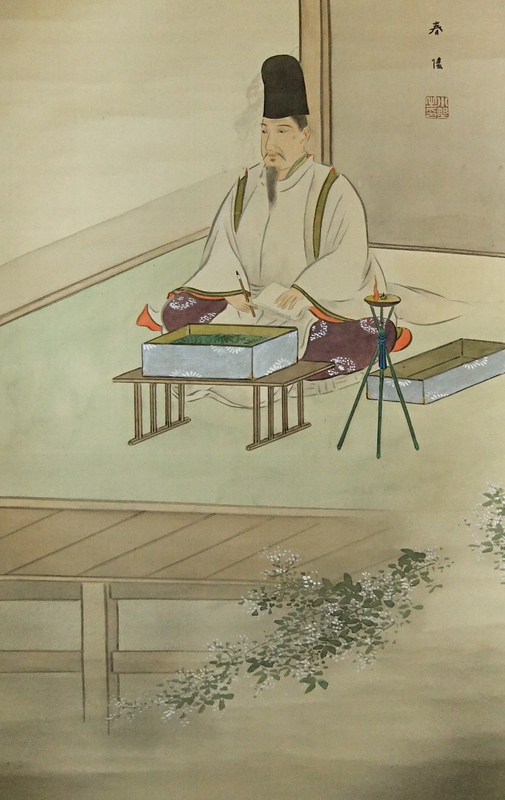 ), court noble in the Asuka period, one of the 36 Master Poets in Japan. 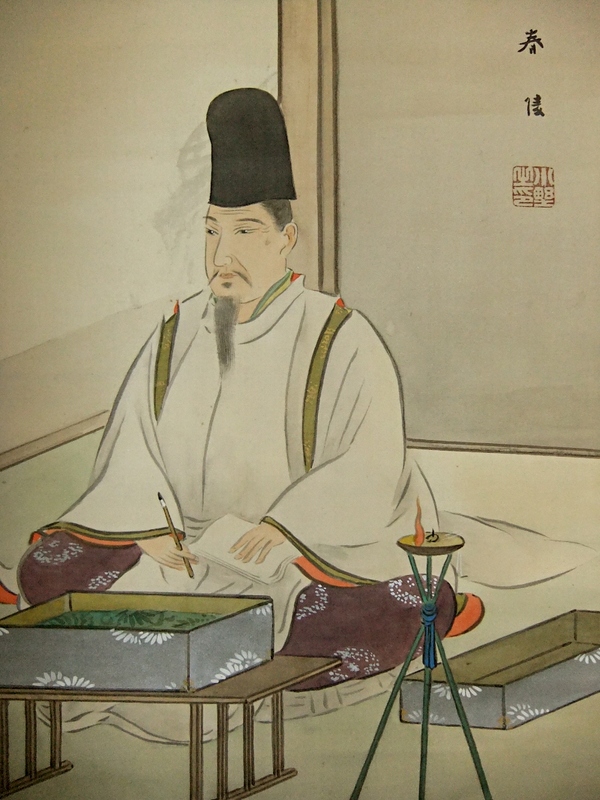 Especially, Hitomaro is regarded as one of the Big Two Poets along with Yamabe no Akahito. 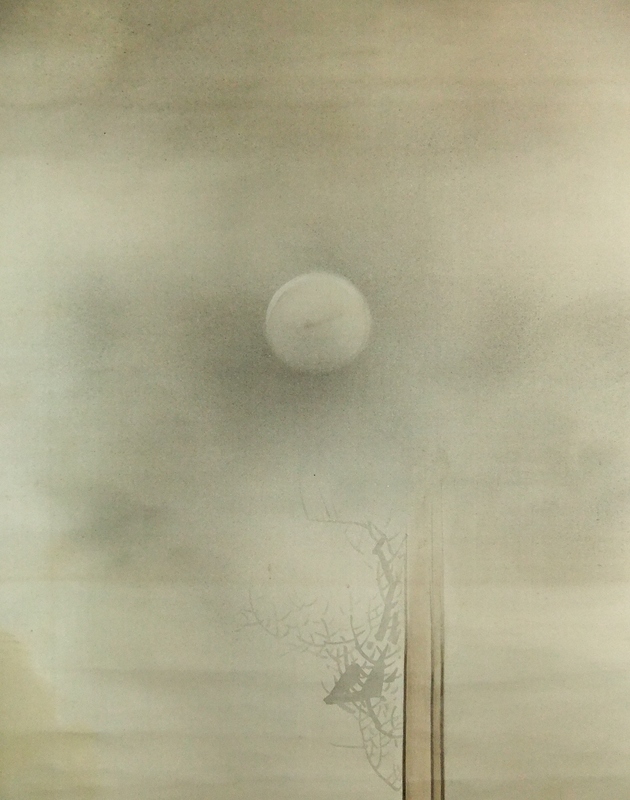 The composition of this picture is that Hitomaro is thinking and writing a poem under the moon. The scene is painted artistically.